One direct flight will take you from China to the UK in less than a day. But where’s the fun in that when you can make the 15,000 journey by land and sea without setting foot on an aeroplane? That is exactly what adventure travel writer Simon Parker is doing, taking in the sights, sounds and experiences of the Clipper Race and the American open road along the way. 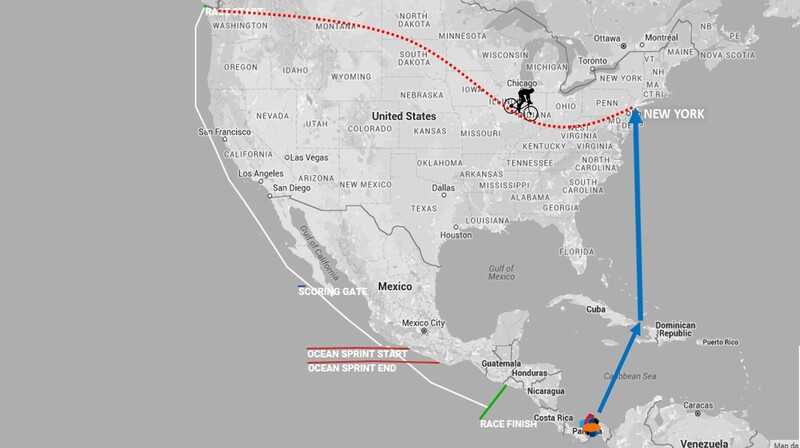 Having raced across the Pacific Ocean on board Garmin, Simon jumped on his bike a few days later to begin his own race against the fleet to New York. While our teams have battled their way through the Doldrums and squally conditions en route to Panama, Simon has tackled the Rockies, strong headwinds, and relied on the kindness of strangers along the way. "It feels like I've been through every terrain and climate this country has to offer and personally I've experienced every emotion possible. There has been blood, sweat and almost tears on several occasions. Doing this alone and unsupported is extremely tough - but now I'm within 1,000 miles of New York and determined to beat the fleet there. I have been amazed at the level of enthusiasm and kindness I've received along the way and I've met some of the weirdest and most wonderful people on the planet. “Physically it has been gruelling - some days I've been on the bike for 16 straight hours and clocked up many days of well over 100 miles. But I'm feeling fit and in good shape. I can't wait for a rest in New York, though, and seeing the city appear on the horizon will be a really special feeling." This week marks a significant and unforgettable experience for our crew as they transit one of the most impressive manmade structures in the world: the Panana Canal. It is also particularly poignant for the round the world crew members because soon the fleet will be back in the Atlantic Ocean where the adventure began, making ‘home’ (wherever that maybe) feel ever closer with Race Finish two months away. For Simon, this weekend brings a very different highlight in his journey. Averaging about 100 miles per day, he’s made fast progress and on Friday arrived in Indianapolis where he’s covering the Indy 500 for the BBC World Service. In his latest Facebook post, Simon describes the event. Day 37, USA: Another day of respite from hard cycling and a further exploration into American culture. 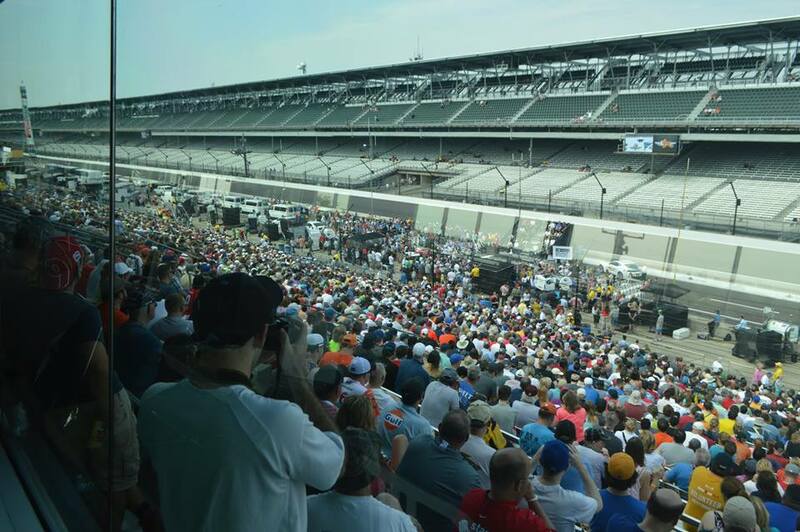 This weekend marks the 100th running of the Indy 500 race and I'm here reporting for the BBC World Service. I've been privileged to report on sporting events all over the planet, but this one ranks as the biggest and certainly loudest. 400,000 spectators will pack into the circuit tomorrow to witness 33 drivers race for 500 miles. In the world of motorsport, it doesn't get much bigger than this. I've spent the day interviewing drivers and officials, while getting a backstage perspective on the sport. My work with the BBC allows me to explore the cultural significance of different sports - and their impact on people. This is something I really love. From winter swimming in Denmark and the Bhutanese obsession with archery, to surfing in Brazil and equipment shortages in Venezuela, sport is not just entertainment, but significantly entwined with culture. The Indy 500 is certainly no different and I'm enjoying the opportunity to have a change of 'headspace' from cycling. More from the circuit tomorrow, before I return to coast-to-coast cycling on Monday morning. In New York, Simon will need to get his sea legs back because he is jumping on board Unicef to sail across the Atlantic Ocean to Derry-Londonderry. From Northern Ireland he will cycle to Den Helder in the Netherlands before finishing the race on board again for the final sprint and spectacular Parade of Sail up the River Thames, for which Official Spectator Boat tickets are now on sale. To follow Simon’s journey and work for the BBC World Service and Daily Telegraph, ‘like’ his Facebook page. He is also keeping his followers up to date from his Twitter account @SimonWIParker and sharing photos and videos from his journey, all recorded using his Garmin VIRB action camera. Race Finish Spectator Boat Tickets on sale today!